It has happened to us all. You have planned a lovely chicken dinner when you realize you forgot to defrost your meat! As you stare at the frozen pile of chicken you wonder if you need to run to the store and purchase a fresh batch. But wait! Surely there is a way you can defrost your chicken quickly and safely? Don’t let frozen chicken hold back your dinner preparations. With a little effort, you can defrost your chicken speedily and still have plenty of time to make dinner. 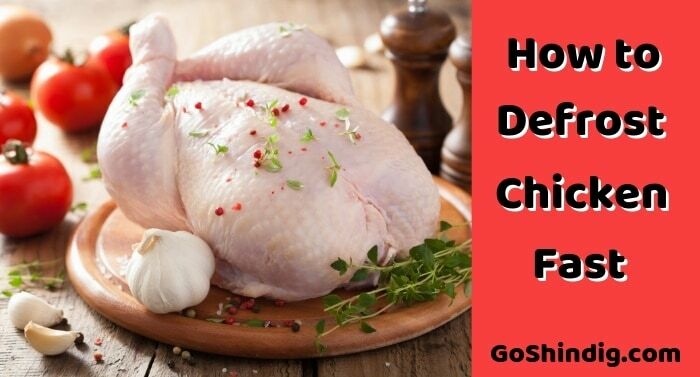 We have assembled a comprehensive list of methods to defrost chicken, along with some tips on doing so safely. Each method has its advantages and some are better than others if you don’t want to sacrifice the quality of your meat. There are a few things to know before you start defrosting your chicken. First, chicken pieces will thaw faster than a whole chicken, and boneless cuts will thaw faster than bone-in pieces. It is easier to quickly thaw chicken pieces if they are not frozen into a large lump. Finally, you definitely need to ditch the styrofoam tray (if your meat is in one) because that tray is an excellent insulator and will slow down your defrosting times. Read on to learn more about the many ways of thawing chicken, and see which method will work best for your meal plans. If you grew up with a parent who defrosted meat on the countertop, using a cold water bath to thaw your chicken might take you by surprise. But it is the go-to method used in restaurants around the world. When done correctly it can defrost meat quickly without sacrificing any quality, and it will prevent nasty germs like salmonella from growing on your meat. Using a cold water bath may seem counterintuitive but it actually works really well. It takes advantage of the fact that water is a much better conductor of heat than the air is. Submerging chicken in a bath of cold water gently defrosts your meat. And keeps it cool enough that it doesn’t enter the Danger Zone (see Food Safety below). This method is suitable for all kinds of cuts, from pieces to a whole bird (and works great with a Thanksgiving turkey). Smaller cuts and boneless pieces may thaw in under an hour, while larger or bone-in cuts may take several hours to completely defrost. To use this method, remove your chicken from any packaging and place in a sealed, airtight bag. You don’t want your chicken to come into contact with the water, as that could spread germs and result in watery-tasting chicken. Remove any extra air by pressing on the plastic around the meat, or use a straw in the opening to draw out the excess air. Air bubbles may slow down the defrosting time, so remove as many of them as you can. Now submerge your airtight bag of frozen chicken in a container of cold water (under 40°F). Place a plate or other weight on your chicken to keep it fully submerged. Set a timer for 30 minutes and grab a beer while you wait. When the timer dings check on your chicken, and if it is still partially frozen dump the water out and add in a fresh batch of cold water. Set the timer for another 30 minutes. Keep up this cycle of refreshing the cold water every half hour until your meat is no longer frozen. If your chicken pieces were originally frozen together you may speed things up a little by manually separating them as they defrost, and then rotating them in the bag until the frozen edges are in contact with the plastic. If cold water works so well, what about using hot water to defrost your chicken? It seems logical that hot water would work better than cold, right? Using a hot water bath to defrost chicken is not usually recommended by the USDA because the warmer temperatures could lead to the growth of dangerous bacteria on your meat. However, in the right circumstances, a hot water bath can rapidly defrost chicken pieces without any additional risk from foodborne illness or any loss in the quality of your meat. Just don’t walk away while you are thawing your chicken or you might accidentally start to cook it! This method is not safe for large cuts such as chicken quarters or whole chickens but is an ideal way to quickly thaw breasts, legs, thighs or wings. The key is to use very hot (140°F) water for the minimal amount of time needed to defrost your meat. Seal your chicken pieces in a zip-top plastic bag and remove the air (as with the cold water method above). Place the bag in a heat-proof container and fill it with your hot water. Use a wooden spoon or another tool to give the water a stir every few minutes. This will keep the warmer water circulating near your chicken as it thaws. Check on your chicken pieces every couple of minutes and remove them as soon as the pieces no longer feel frozen. The New York Times found that this method was able to defrost ½ inch chicken breasts in 3 minutes, and 1-inch chicken breasts in under 10! Yet most of us have tried using the defrost setting on our microwaves…and ended up with partially frozen, partially cooked chicken. Not tasty at all. If you have tried and failed to thaw meat in the microwave, don’t give up! It can work wonders for quickly thawing chicken pieces if you are willing to give up using that automatic defrost setting. Instead, just pick the program and time yourself for the best results. This method isn’t ideal for thawing a whole chicken for a couple of reasons. First, a whole chicken is too thick to thaw evenly in the microwave without starting to cook on the outside. Also, most whole chickens have a plastic baggie filled with giblets and/or the chicken neck hidden inside the frozen bird. Needless to say, I have discovered the hard way that those plastic bags are not usually microwave-safe. Using a microwave is a great option for thawing chicken pieces, however. All you have to do is remove all the packaging and place the chicken in a microwavable bowl or plate. For bone-in chicken pieces, nuke the pieces at 50% power for about 2 minutes, then separate and flip the pieces over. Change the power setting to 30% and continue to microwave and flip 1 minute at a time until your chicken has thawed enough to cook. It will take about 1 minute to thaw every 1.5 pound of bone-in chicken. For boneless cuts, things will move a bit faster. To avoid cooking your chicken by accident set the microwave at 30% power and nuke for 2 minutes. Separate and flip the pieces, then reduce the power to 20% and continue as above. 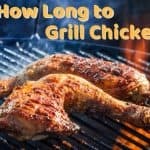 It usually takes about 1 minute for every half-pound of boneless chicken. When you select the settings yourself, your microwave can have your chicken pieces thawed in just a few minutes without the risk of partially cooking them. Crock Pots (aka slow cookers) are very versatile appliances. They are great at gently cooking cuts of meat low and slow, tenderizing them and leaving them juicy and flavorful. They’re the ideal method for making stews, soups, pot roasts, and even many desserts. As a method for defrosting meat, however, they have a lot of things against them. Crock pots heat up slowly even when they are on their highest setting. It can take several hours to heat a full crock pot to a simmer. 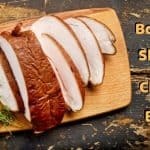 While you may be able to cook frozen chicken in a crock pot successfully if you have enough time, there is always the danger that your meat will remain frozen or raw in the middle. This leads to a potentially dangerous situation where your chicken is sitting for hours in the Temperature Danger Zone (see Food Safety below). You could end up contaminating your dinner with nasty bacteria. From both a speed and safety perspective, using a crock pot to defrost meat just isn’t a good idea. You will have better results in a fraction of the time by using one of the methods listed above. Take the time to thaw your chicken before cooking it in the crock pot. Your family and your guts will thank you. The easiest way to defrost your chicken is to let it thaw on its own in your refrigerator. If you have the time to spare, this method is essentially foolproof and requires little personal attention. Depending on how your chicken has been packaged and whether you are defrosting a whole chicken or pieces, it can take several hours to a couple of days to fully thaw chicken in the fridge. You will want to cook it within a day or two, however, or it may start to spoil. You don’t have to remove your chicken from the packaging, but things will go a bit faster if you do get rid of the styrofoam tray. Place the package (or the unwrapped chicken) in a bowl or a casserole dish. The dish will prevent any juices from leaking out and contaminating the other food in your fridge. Cover well (if unwrapped) and place on the lowest rack in your fridge. All you have to do now is wait for it to fully thaw. That’s it! Sometimes you just don’t want to wait for your chicken to thaw. Can you cook it even though it’s still frozen? It depends. The trick is to be able to cook your chicken completely through without drying it out or over-cooking the outside. And you have to cook it quickly enough that the chicken doesn’t spend too much time in the Danger Zone. When working with frozen chicken, you have to pick the right cooking method for the kind of meat you are working with. Whole chickens and bone-in chicken pieces are more challenging to cook from the frozen state. While individually frozen boneless breasts and thighs are the easiest. You can always cook frozen chicken pieces on the stovetop or in your oven, as long as they are not stuck together. Place the individually frozen pieces in your cooking container and follow the recipe as usual. Cook until a thermometer reads 165°F in the thickest parts of the chicken. This will take about twice as long as the recipe would if you were using thawed chicken. I am always up for some grilled meat, and grilled chicken is a definite favorite. While I can’t recommend grilling frozen bone-in chicken (because you are too likely to overcook the exterior and still leave it raw in the middle), grilling boneless chicken is quite easy. This is a great way to use those big packages of individually frozen breasts or thighs you can pick up in the frozen food aisle! Just toss the frozen pieces on the preheated grill and cook until they are almost done. Then finish with the glaze or sauce of your choice. I’ve done them on direct and indirect heat and found that either method works well. A whole chicken is another matter, however. The average roasting bird weighs between 3 and 6 pounds. This makes them too large to grill, roast or slow cook without defrosting first. But you do, in fact, have options for cooking a whole frozen chicken. There is one special challenge with cooking a whole chicken without first defrosting…that darn bag of giblets. You need to remove it prior to cooking your bird. If you can somehow manage that (or were smart and removed it before you froze your chicken) then you are good to go. The easiest way to cook a whole, frozen bird is to use a pressure cooker. Place the giblet-free chicken in the cooker. Add in at least a cup of liquid (water, broth, beer, wine, lemon juice etc) and season with your choice of herbs and spices. Lock the lid and use the high-pressure program, setting your timer for 25 minutes. Once the cooking is complete, let the pressure diminish on its own (natural release as opposed to doing a quick release). Remove the chicken and either serve with the juices left in the pot or turn those juices into a fantastic gravy or sauce! I’ve mentioned this thing called the Danger Zone a few times so far. And you may be wondering what that’s all about. The Danger Zone is the temperature range of 40°F to 140°F. When your meat sits in this range for more than 2 hours, there is the chance that nasty bacteria can grow. This could contaminate your meat, leading to a potential case of food poisoning. It is just warm enough that the germs can flourish. Even though your meat may still feel cool to the touch. Unfortunately, raw meat is not a safe ingredient to handle. You pretty much have to assume that all raw meat is contaminated with something you don’t want to ingest. To avoid picking up a stomach bug you will want to use some caution when defrosting your chicken. Take the usual precautions when handling frozen raw meat, such as washing your hands and tools in hot, soapy water. As your chicken defrosts don’t allow any juices or liquids to come into contact with other tools or food items. If you use a water bath to defrost meat, be sure that water does not splash onto other foods or surfaces. While your chicken defrosts you need to ensure that it stays out of the Danger Zone. This is why you shouldn’t defrost your meat on the countertop. And why you need to refresh the cold water when using the bath method. Otherwise, the temperature could creep into the Danger Zone. This is also why the crock pot isn’t an ideal way to thaw or cook frozen chicken. It is too difficult to ensure that the center of your meat gets over 140°F in under 2 hours. As long as you wash everything well and keep your thawing meat out of the Danger Zone while defrosting and cooking, you should be safe. The USDA recommends cooking chicken until it measures 165°F internally. Don’t mess around with food safety, and don’t believe the myth that chicken is finished “when the juices run clear.” Instead, use an instant-read thermometer and know for sure that your chicken is ready. Even if you forgot to remove your meat from the freezer, you can still have chicken for dinner. Using one of the methods listed here, you can get dinner on the table in a reasonable amount of time. And at no risk to your family’s health. 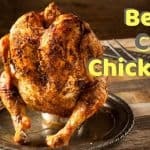 Depending on the cut of your meat and how you plan to cook it, there is a technique perfect for defrosting every kind of chicken. You can even choose to just get cooking if you prefer! From whole birds to wings, you won’t “fowl” things up when you follow our tips for easily and safely defrosting chicken.